With six of the 29 athletes from the U.S. Ski and Snowboard A, B, and C teams from Bristol Mountain, the past few months have been an exciting time for the Rochester and Finger Lakes community. Jon Lillis, Morgan Schild, Chris Lillis, Dylan Walczyk, Harrison Smith and Patrick O’Flynn have left the trails of Bristol Mountain to compete with the hopes of landing a coveted spot on the U.S. Ski & Snowboard team. On January 11, Morgan Schild participated in her first World Cup event in Finland and secured the points necessary to qualify for a spot on the U.S. Olympic Freestyle Moguls Team. 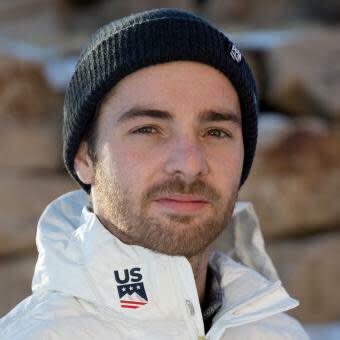 On January 22, the official announcement was made that Jon Lillis qualified for the U.S. Olympic Freestyle Aerials Team. Morgan and Jon—both Pittsford, N.Y. natives—will compete in the 2018 Winter Olympics in South Korea this February 9-25. Ready to hit the slopes like a true champion? Plan your trip to #VisitROC and don&apos;t forget to pack your red, white and blue gear. Bristol Mountain will be holding viewing parties during the Winter Olympic telecasts. Stay tuned for Olympic viewing party details.